Agnes is a beautifully restored Westfalia camper. She is right hand drive with a 1584cc engine. With 4 x 3 point seat-belts, Agnes is the ideal choice for family holidays. Sleeping two adults downstairs on her full width rock and roll bed and two smaller people upstairs in her roof bed. There is an optional over-cab bunk, where an infant up to 35kg can sleep also. She has a stylish retro interior. Her soft furnishings are yellow and orange tartan, in keeping with the original fabric used by Westfalia in the 1970’s. Agnes, not only has an electric coolbox, sink, on-board water and gas hob, she has the added benefit of a grill as well. 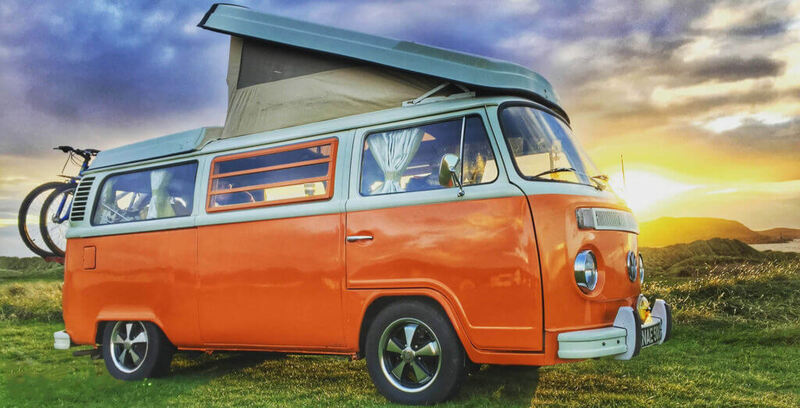 Agnes has the smartest interior of any campervan ever and she's an orange goddess. Never mind Tango-d, I've been Agnes-d & I'm in love with her!